There are a lot of reasons to consider raising your own chickens. Their needs and space requirements are simple, they can be raised to be much healthier than commercially raised birds, and they can provide you and your family with an inexpensive, healthy, and sustainable food source for years to come. Also, raising chickens can be a fun activity to share with your family! Children especially seem to get a big kick out of naming chickens, keeping track of their egg production, and caring for them essentially as pets. Recently, however, I realized that there is another big reason to raise your own chickens. You can build them unique and beautiful coops that actually add style and aesthetic value to your garden! 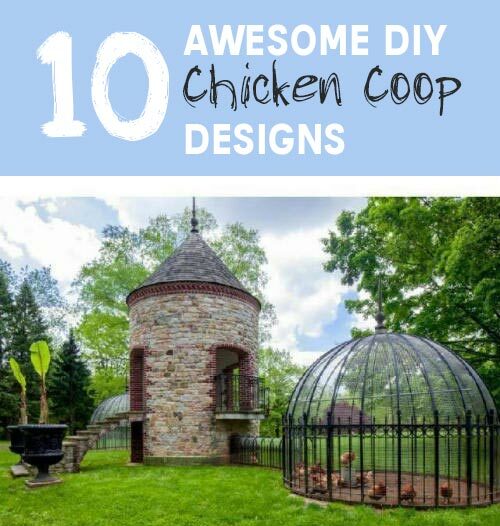 We’ve put together a group of 10 awesome chicken coop designs, 5 with DIY tutorials so you can build at them at home and 5 that are just plain ridiculously beautiful! Any of the following may just inspire you to create something unique and incredible for you and your own chickens to enjoy. Check out the designs and build your way to a beautiful and happy homestead! 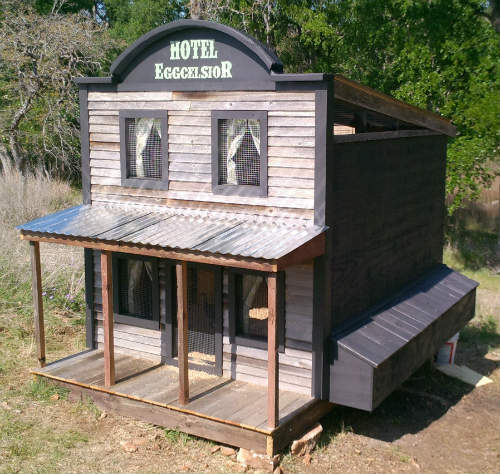 All chickens would like to live in a saloon. So I am told! ok, just my chickens then. 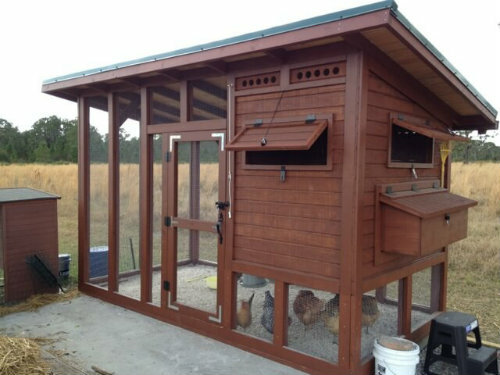 This is a great DIY Project if you want to have a western style coop. This light and airy coop will provide shelter from the rain while giving the chickens more light than a conventional coop. 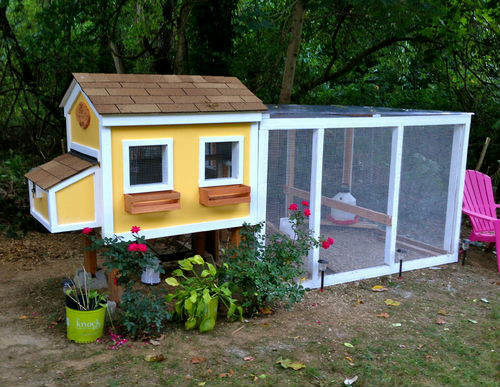 This coop is easy to build and will look great in any size garden. 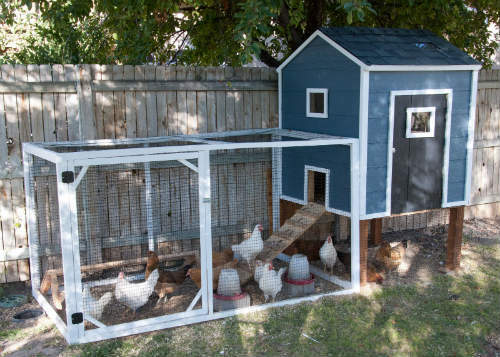 With easy access to the eggs this coop is a great fit for the beginner chicken owners. You can even plant some flowers in the planters under the windows to add a little more style. This is a little bigger than the rest. 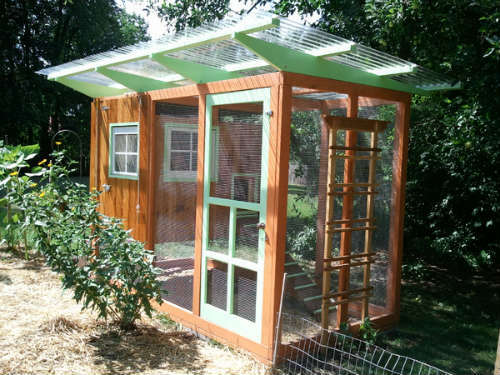 This is a sturdy and very strong coop, offering protection from the wild animals that may try and get at your chickens.